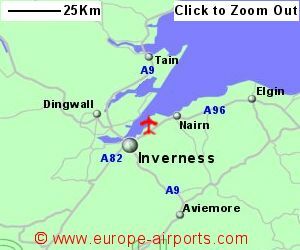 Nearest rail stations are at Inverness and Nairn, both approximately 13Km distance and with bus links to the airport (upto every 30 minutes for Invernes and upto every hour for Nairn). 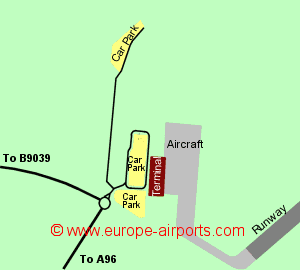 Short term car parks are located adjacent to the terminal building while the long term car park is at a distance of approximately 400m. 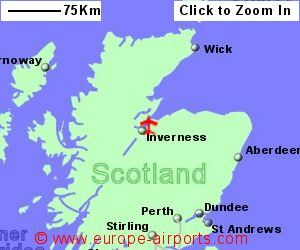 Facilities include 4 cafes/restaurants, 3 shops, business facilities and WiFi Internet access. Passenger throughput totalled 874,000 in 2017, an increase of 11% from the previous year.